Leslie Manookian writes about whooping cough for Nourishing Our Children. In recent years the United States has experienced pertussis (whooping cough) outbreaks and epidemics in states across the nation. While the official advice of government, health care workers, and vaccine makers has been a resounding, “go get vaccinated or re-vaccinated”, is that really the best course of action for now and the future? By the late 1970’s, the cases of severe reactions to DPT including seizures, brain inflammation and death, were mounting and the scandal reached a tipping point when CBS aired an investigative report called “DPT: Vaccine Roulette”, which explored whether the vaccine was more dangerous than the disease. Many parents realized the shot had caused their children’s brain damage and sued the vaccine manufacturers. Juries awarded the families of injured children many millions in compensation. Aside from the very severe potential neurological side effects, there is also evidence linking pertussis vaccines to a variety of immune and autoimmune conditions such as allergies, asthma, eczema, and diabetes. 6,7,8 While health officials reassure the public that vaccines are safe, science continues to mount casting doubt on this reassurance. To make matters worse, CDC states the following about the effectiveness of pertussis vaccines: “The findings of efficacy studies have not demonstrated a direct correlation between antibody responses and protection against pertussis disease.”9 What this means is that there is no direct connection between producing antibodies in response to the vaccine, and obtaining immunity! Given the goal of vaccinations is to provoke the production of antibodies which supposedly provide us with immunity from a disease, this is a rather startling admission. Having reviewed the history, safety, and efficacy of vaccines, let’s fast-forward to today and take a look at the pertussis outbreaks we have been experiencing across the country. In January, Vermont declared a statewide emergency for a whooping cough epidemic. An examination of the data shows that most of those contracting whooping cough in Vermont and elsewhere have been fully vaccinated (60%-90% in most cases). In fact, people have been vaccinated 5 and 6 times and yet they have still contracted pertussis. This illustrates an important point about vaccines, namely that while they are touted to provide life long immunity, that is not the case in practice. Vaccine induced “immunity” wanes, sometimes very quickly, over time. Papers published in the medical literature show that protection from the pertussis vaccination wanes so rapidly that within a few years, as few as one in four 8-12 year olds will have any protection from the 5 doses of pertussis they have received in their life.10 What has been the response of public health departments? Just get vaccinated more. But it is only natural to question the wisdom of obtaining only temporary “immunity’ from a vaccine while exposing recipients to more chemicals, more potential for autoimmune disease, more potential for brain inflammation, and more potential for other chronic health problems. But there is something else going on in these outbreaks that casts further doubt on the wisdom of pertussis vaccines, namely the possibility that the vaccinations could actually be causing the outbreaks. First, let’s consider what pertussis vaccine does. In theory, it protects against a pathogen called b. pertussis, which causes the symptoms of whooping cough. But there are other pathogens very similar to b. pertussis that can cause whooping cough and the pertussis vaccine does nothing against those pathogens. One of those pathogens is b. parapertussis. Scientists have found that mice injected with pertussis vaccine grow 40 times as much b. parapertussis in their lungs as they would absent the vaccine. The vaccine literally promotes this other cause of whooping cough.11 While health authorities and doctors decry the outbreaks of whooping cough, rarely do they actually verify which pathogen is responsible for the outbreak. The study in mice suggests the culprit may in fact be b. parapertussis, a pathogen against which the pertussis vaccine does not protect. Worse still, this is yet another example of the law of unintended consequences: by attempting to beat nature by vaccinating against pertussis, we may have actually encouraged the proliferation of another bug and by repeatedly vaccinating with pertussis vaccine we may only be making matters worse. While protecting ourselves against disease may be a noble idea, vaccinations have severe consequences that are often overlooked or dismissed by those with financial or ideological conflicts of interest. But information is out there for anyone to read. You just have to look. And much of it is contained in the Catalogue of Science at the website for our documentary on vaccines, The Greater Good. I hope you will explore this and other vaccine issues further so that you may make educated and informed choices for you and your family. Have you or any of those near and dear experienced pertussis? What are your thoughts about the vaccine? See our discussion related to this post on Facebook. We recommend The Greater Good via our Amazon affiliation. Writer / Producer, Leslie Manookian was a successful Wall Street business executive and is now a documentary film producer and activist. Manookian chose to leave Wall Street at the height of her career in order to pursue a more meaningful path. Her career in finance took her from New York to London with Goldman Sachs. She later became Director of Alliance Capital in London running their European Growth Portfolio Management and Research business. While living and working in London, Manookian learned of the vaccine debate and determined that one day she would make a documentary exploring the issue. The award winning documentary The Greater Good is the result of 11 years of work. She has been featured in dozens of TV, radio, print and internet interviews as well as appearing at numerous conferences discussing vaccine issues. She has been featured in a cover article in Barron’s as well as in other financial publications. She has served on the board, managed or consulted for many organizations in her community and successfully led the charge to defeat a proposed coal plant in her state and helped secure legislation providing consumer access to raw milk. She holds an MBA from the University of Chicago and a BA from Middlebury College. 37 Responses to Is the pertussis vaccine causing the recent outbreaks? Sorry, I can’t agree at all with this post. I’m not sure what it has to do with nutrition, which I what I look for from this blog. I’m reconsidering my subscription. 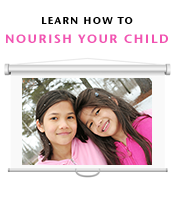 Nourishing Our Children is interested in the whole child and we have explored many topics beyond nutrition on this blog and on Facebook. How we nourish our children extends beyond what we put in their mouths. There will invariably be opinions expressed that don’t resonate with everyone. I would encourage you to simply ignore what isn’t of value to you so you may benefit from information that does resonate! A friend of mine’s dear little girls (ages 5 and 7) both contracted pertussis, though they are fully vaccinated. Ironically, they were playing with another little girl from our church, who is unvaccinated, the week that they were most contagious and she did not contract it! Their doctor’s response to this was, “Well at least it was ‘less severe’ ” — which wasn’t true, they suffered terribly — they simply will not admit that the DTaP is not effective! Logic tells me that if the vaccine won’t even protect against pertussis, than why risk all of those awful side effects and ingredients. So thankful to be informed and to have two unvaccinated children. I agree; what’s the point? If my child had equal chances of contracting whooping cough whether he was vaccinated or not, I’d rather he weren’t vaccinated. I literally only vaccinated my son from this disease in order to protect babies (he didn’t get a shot till he was two). Now I’m thinking–what was the point in doing that if he can still get it? That was a hypothetical “if” by the way. I don’t know if the chances are equal or not. Yes I had it when I was preggo with my second child (please note I had the vaccination at least 2-3 times over my life), it sucked I had it for about 1 week really bad and 2-3 weeks not so bad. My child who did NOT have the vaccination had it bad for about 2 days and then only a few more days getting over the rest of it. The moral of the story, I wish I had not had the vaccination as I am sure getting it would have been a lot better without it than it was with it. Thank you so much for sharing your experience. I am saddened to hear about how you both suffered! My youngest had it when she was just under ONE MONTH old (and she was exclusively breastfed). It was one of the scariest times in my life, coaching her to breathe through the coughing fits. I couldn’t hardly sleep for fear of not being there to “help” her through one. At one point I was talked into hospital admission– and ended up leaving AMA because all they did was stick her in a cage (aka hospital crib) and “monitor” her. There was NO HELP through the cough fits, only “monitoring”. Well, I could do that in my own home, while holding her, and being comfortable and NOT paying bills for it. The vaccine wouldn’t have even “prevented” anything as she was too young to get it (even if I’d wanted it). I’m against, but not hard-core against, vaccinations. But what REALLY shook my world was that she wasn’t safe while nursing! Heather, I can only imagine how painful it would have been for you to feel relatively helpless! Did anyone else in your family contract the disease? I am someone on the other side of this illness, after my unvaccinated children contracted pertussis in Dec. I can tell you that one of my children, the only one who took 2 sets of DTap, had a cold with a lingering cough but nothing out of the ordinary. My husband and I (vaccinated in childhood but not since), had a sore throat (him) and I had a cold/cough similar to my oldest daughter. The middle 3 girls who are entirely unvaccinated, aged 4, 9 and 11 suffered tremendously and even now have not rid themselves entirely of the cough months later. By this I am talk about being up every 1/2-1 hour all night long gasping for breath as they coughed incessantly and vomited. Once they started ‘whooping’ and were diagnosed, we were all put on antibiotics. My youngest son had just started the cold/dry cough symptoms and thankfully only had a comparatively mild case due to the antibiotics. I being pregnant was very fortunate to not have this hit our home a couple months later as it would have put our newborn at risk. Let me tell you that if I had known that this virus in vaccinated populations was very often so mild to not be distinguished from any cold with a lingering cough, I would have gotten the shots years ago. I thought I was making the right choice by not vaccinating my children but the fear of risk from the shots feels more acute in this age because we haven’t personally seen the diseases we are trying to protect from. Every single night over these months that I got up to comfort my poor children, I felt my failure and knew I had made the wrong choice. We eat healthy and practice natural health and homeopathy and while these things are a tremendous blessing, I feel that there is way too wide a chasm between ‘natural’ means and allopathic ones. We must not choose one at the detriment to the other if it means putting ourselves at greater risks. It has been an easy choice to get my children their shots after this terrible experience…to no damage whatsoever to my children. So I will choose the best of both worlds – natural means of staying healthy and treating mild concerns, with the benefit of allopathic help when it is required! Both are immense blessings and a meeting of both worlds would mean the greater health of both. Extremes on either side hurt us all! I hope this may be of value in regard to your sense of remorse: There are several reports in our community here on this blog and on Facebook of people who had the vaccine and even boosters but, still experienced severe whopping cough, so it clearly isn’t consistently effective. Your family may still have experienced it either way. Yes, extremes on either side HURT everyone. I always stress the fact that I was born and raised in Africa, and so were my children. I lived in Africa for almost 40 years. My children were vaccinated because we saw the carnage and devastation in villages where children were not vaccinated, either due to ignorance or because they were not reached yet. Children DIE by the hundreds and thousands of measles, Tuberculosis, and yes, even whooping cough claims children. A simple vaccine can prevent this (it harms more to NOT vaccinate than to vaccinate). I received the pertussis vaccine immediately after my son was born (within a month) and he received his first vaccine on time. Neither one of us contracted any form of it. I would rather take my chances the vaccine does work for us, than suffer through whooping cough. It is one of the only vaccines we’re still doing. There are several reports in our community here on this blog and on Facebook of people who had the vaccine and even boosters but, still experienced severe whopping cough, so it clearly isn’t consistently effective. Sandrine, not only is pertussis reported in fully vaccinated people in your community but it has been widely documented and discussed in the medical literature. 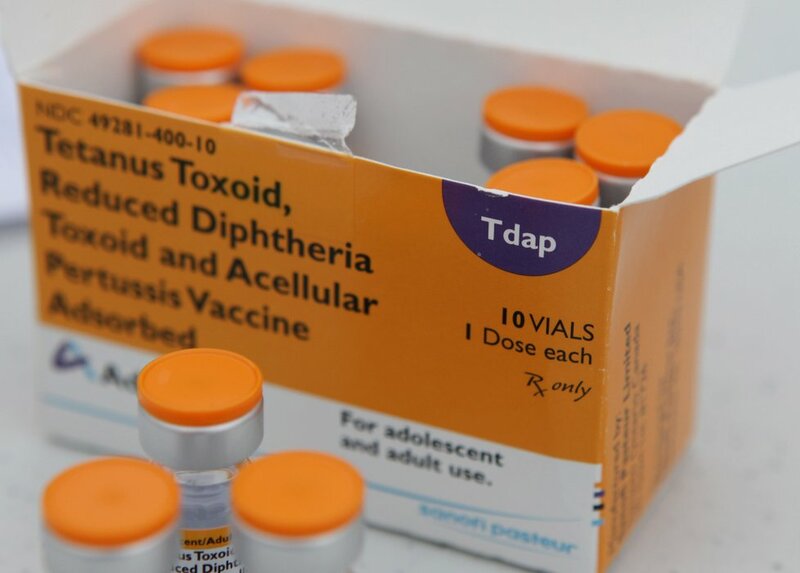 The titles of the papers are often things like “Why do pertussis vaccines fail?” and “Waning Protection after fifth dose…” Much of this research can be found on our website at http://tinyurl.com/cb68jw3 You can also read about similar problems with other vaccines. This is not to say that vaccines never work. It is just that the public in general is led to believe that vaccine induced immunity is permanent and that vaccines always work. The truth is that the issue is as not black and white as that – one just has to look at the medical literature oneself to understand this. The purpose of the article and of our movie The Greater Good is to help people to understand that there is more to the vaccine debate than what they may have learned. And as you so rightly say, those of us who are concerned about what we put into our children’s mouths are also concerned about what we inject into them and the impact that may have on their immune systems and bodies in general. Thank you for this, Leslie! I think it is important to note that the medical literature documents this concern about efficacy as well. I think it is also important to understand that I have provided a reference from the mainstream medical literature for all the facts in the article. Yes! I find that very compelling! Thank you for this information regarding the pertussis vaccine. I have heard a lot of it, but some is new and good to get refreshed on what I had heard before. After much studying, pondering and prayer, I decided it would be okay to have my son vaccinated with the DTaP after he turned two and after he turned three…but now it looks like he would need to be vaccinated a bunch more times for it to be effective? It’s such a dilemma for me because he is old enough now that it is unlikely that he would become seriously ill or die from it, but I would feel terrible if he contracted it and gave it to someone’s baby. He’s probably going into school next year, and we are hoping for another baby, so really it’s a tough call. He started getting sick a lot after his first DTaP shot, and I can’t help but wonder if it was related. I made some big dietary changes, though, and he didn’t have the problem with frequent illness after the second shot. Personally, I think eating a healthy diet and living a healthy lifestyle can go a long way in protecting children and adults from both illness AND vaccines. As people continue to degenerate from our modern foods and lifestyle, I think we will continue to see increases in reactions to vaccines. So many of us just are not healthy enough to handle them. I can’t help but wonder how things would be different if we had never veered from nourishing diets but continued with advances in hygiene and clean water. I’m no expert on communicable pathology, but it sure seems like we would have fewer communicable diseases. I also wonder how things would be different if vaccines were never invented. Would the disease rates still be high as they once were? There seems to be evidence to suggest otherwise. I wonder if perhaps by artificially lowering the incidence of some diseases we are allowing other diseases to take over. B. parapertussis is a good example of this, as well as MRSA. What if medical science had focused on ways to treat the illnesses instead of trying to vanquish them? For example, what if it was widespread knowledge that vitamin C supplementation thins the mucus that causes the “whooping” in whooping cough? Perhaps the diseases wouldn’t be quite so scary if we had really good treatments for them. But things are what they are now, and we mindful parents have the tough decision of trying to decide whether it’s better to subject our children to the risks of vaccines versus the risks of the diseases, and I have found that it can be a tough decision indeed! There are parts of this article that I am not surprised to see, but saddened that speculation on correlation is implied as fact. Whether the author intended it or not, it is often perceived that way by the reader. There are many correlations to the pertussis outbreak, the strongest being the overall decline in vaccinations – when this happens more strains of a virus are allowed to multiply in the community and those that have different antigens or proportions of antigens than the main strain are allowed to thrive and move through the community. The implication of autism and Tdap vaccine is pathologically untrue. Gyral/Sulcal thickness is one of the physiological markers of autism – it can be seen in utero on MRI. It is a developmental disorder not an environmental disorder. We can blame Tdap and MMR all we want, but it is only the result of the correlation = causation fallacy. It would be akin to me saying I live in Florida. There is sand in Florida. The more time I spend near the sand, the more sunburnt I got. Therfore sand is the sole source of sunburns. I happened to be near the sand when I succumbed to the overexposure to the sun, but I am in the sun every day – so I blame the sand. Well we vaccinate around 18 mo, the same time children’s behavior patterns develop enough to start fitting the autistic diagnostic. In fact recent studies have shown that the marked increase in autism spectrum disorders in the past 40 years has followed the expansion of the diagnostic criteria much more than any environmental factor. Having said that, is Tdap 100% safe? Nope. Neither is driving your car. There is a risk benefit to it. Do I vaccinate my kids? Yep. In fact you are more exposed to thimerosol, mercury (unmethylated-bad vs. the methylated which is 0% bioavailable in vaccines), and other toxins in the foods you eat daily than you are by a vaccination. Yes there are rare and unfortunate cases of people who have bad reactions. The same is true for peanuts, honey, wheat, mold, and pet dander. Some are more dangerous than others. I know my opinion is not the popular one among this group, but I have seen children miss vaccinations and die unnecessary preventable and painful deaths because they were sure they were at higher risk from the vaccine than measles, mumps, or rubella. Here is the question – if you know prevention carries a half percent chance of harm, but doing nothing carries a 4% chance of harm – which is worse? Thank you Mike. Your post is the voice of reason. Like I posted above: I always stress the fact that I was born and raised in Africa, and so were my children. I lived in Africa for almost 40 years. My children were vaccinated because we saw the carnage and devastation in villages where children were not vaccinated, either due to ignorance or because they were not reached yet. Children DIE by the hundreds and thousands of measles, Tuberculosis, and yes, even whooping cough claims children. A simple vaccine can prevent this (it harms more to NOT vaccinate than to vaccinate). Mike, thanks for your thoughtful comment. I just wanted to comment on a couple of things you stated. First, public health officials in California, other states and at the federal level have stated publicly that low or falling rates of vaccination are not the cause of the pertussis outbreaks seen in recent years. Rather they are due to waning immunity (vaccine failure) and the cyclicality of pertussis. These statements however have not stopped many in the media and as well as others with a vested interest from blaming the outbreaks on the unvaccinated or falling rates in general. Secondly, you mention that these low rates of vaccination allow “more strains of a virus are allowed to multiply in the community and those that have different antigens or proportions of antigens than the main strain are allowed to thrive and move through the community.” This is not true. The pertussis vaccine addresses b. pertussis only. No other strains are addressed by the vaccine. But, other similar pathogens such as b. parapertussis do cause whooping cough or at least the same symptoms. The vaccine does nothing against b. parapertussis and in fact as mentioned in my article the vaccine has actually been documented to promote the growth of b. parapertussis in mice. The outbreaks have nothing to do with people having different antigens or there being less vaccinated but rather because nature has filled the “gap” created by the pertussis vaccine. Thirdly, there is abundant science showing that environmental issues are the most likely cause of autism – it is the direction the science has been going though there has also been science suggesting other causes. At this point, the most likely culprit is environmental or a group of environmental factors. There has also been some pivotal work done by a team at the U. of Pittsburg giving the entire vaccine schedule to monkeys and the vaccinated monkeys developed symptoms of autism while the control group did not. Interestingly, when US health authorities doled out $100 million in grants recently, this project was not given more funding despite its very interesting and important findings. Fourth, one cannot compare injecting and ingesting mercury or aluminum or any of the other toxins in vaccines. When we ingest we have different mechanisms to deal with and excrete toxins, when we inject them, much of our normal physiological detoxification systems are circumvented. There is ample science showing the the aluminum injected in vaccines stays at the injection site for 8-10 years – this does not happen when it is consumed. Lastly, if all the autism is due to better diagnosis, where are all the 70 year olds running around flapping their hands, walking on their toes, unable to speak? Why are there budgetary crises in school districts across the nation if these people have always been around? Why are police forces and other service provides implementing special training programs so that their employees understand how to deal with people who can’t speak, who behave in a way never seen before? Surely if these folks have been around for decades, all this would not be such a surprise or an increased burden. Recent research shows that 54% of American school children have a chronic illness – something has changed, it is not due to better diagnosis. Bravo for a well stated, well supported and unemotional response! I can’t wait to see your documentary. Why is it then that in communities that are generally unimmunised pertussis is more prevalent than those who are immunised? I live in one of those areas where a large number of people choose not to immunise and we are experiencing a problem with a large number if purtussis outbreaks and sadly 2 years ago my cousin lost their beautiful baby at 10 weeks old. He contracted the disease before his first immunisations were due. If u ask anyone who has been affected by the loss of a baby from whooping cough I’m sure u would find that the benefits of the vaccination outweigh the small chance of reaction to the vaccine. I am sick of hearing about anti-immunisation discussions that focus on the one child in possibly 10000 children that may have some kind or reaction to a vaccine, are they forgetting about the other 9999 children who did not have a reaction and who were protected from thedisease??? Eve you say you are sick of hearing about the 1 child out of 10000 that reacts when the 9999 are protected. This assumes that they are in fact protected. There have been numerous reports and studies indicating that the pertussis vaccine is not very effective so the 9999 are not all protected from the disease. In fact in almost all outbreaks across the country the majority of cases have been among the vaccinated. So when you weigh the risk of vaccinating vs. getting the disease it is a false comparison. You have to weigh the risk of not vaccinating and perhaps getting the disease vs. vaccinating and perhaps reducing the chance of disease. In both cases you only have a statistically small chance of acquiring the disease. Does vaccinating in fact reduce that chance significantly and is that reduction worth the risk of vaccine injury? That is the question.. Thank you for sharing your story, I agree wholeheartedly with you. Yes, I also vaccinated because I do believe the risks of vaccination are far less than the risks of NOT vaccinating. I saw this first hand, with my own eyes in Africa. Thousands upon thousands of unvaccinated children die every year of measles, Tuberculosis, whooping cough…..Epidemics sweep through the villages and for those preaching non-vaccination: unless you have witness the carnage, don’t speak of things you know nothing about. My mother is 60 years old and she wasn’t vaccinated for the disease but I was. I have chosen not to vaccinate my baby and was discussing that with my mother who is a retired nurse and this is when I got to know that she had the disease and guess what was the treatment for it ?!!!! ….. I was shocked myself … CRAB … yes crab (the seafood thing) … this is what people in my country used to feed their kids to make it go away (The Kingdom Of Bahrain / a very small island in the persian gulf that it’s people rely mostly on seafood as their main food back in the time). I was thinking if treatment that easy why do we have to vaccinate our kids. People just eat good and stay away from junk. This is a really tough one for me as I am a big believer in natural foods and health as much as possible but last year my 6 week old nephew (breast fed) contracted whopping cough and died. Nobody else in the family showed any signs of the disease. As far as I am aware family members were vaccinated but he did have a lot of contact with unrelated children under 4 through his sister’s playgroup. I often wonder if he contracted the disease from an unvaccinated child in the playgroup but I guess it is something that will remain unanswered. Perhaps parents will need to keep their babies away from the masses for longer until they are stronger? My kids are unvaccinated and contracted pertussis from a child who had recently been vaccinated. We treated with therapeutic doses of Vitamin C, real food diet high in healthy fats, plenty of sleep, and immune system supporting supplements and they all recovered fairly quickly without complication. They were 5, 4 and 5 months old at the time.